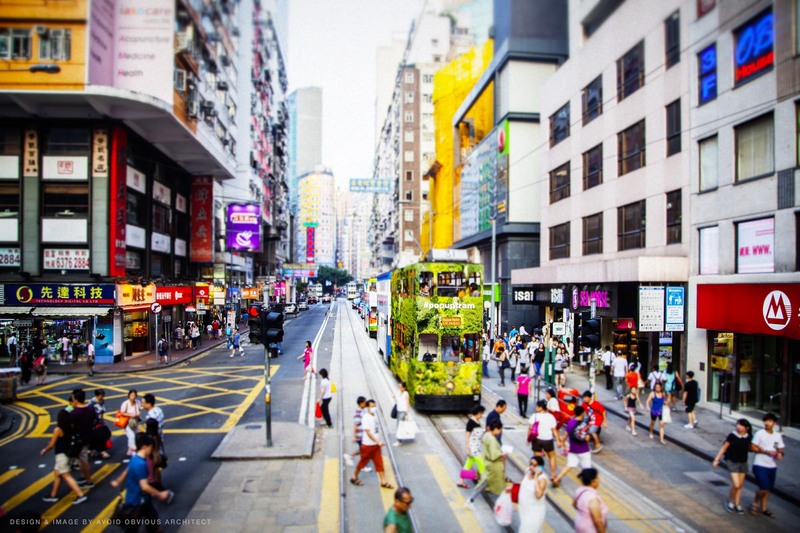 Tramways is a sustainable and historical transportation in Hong Kong. Founded in 1904, it still carries an average of 200,000 passengers every day. 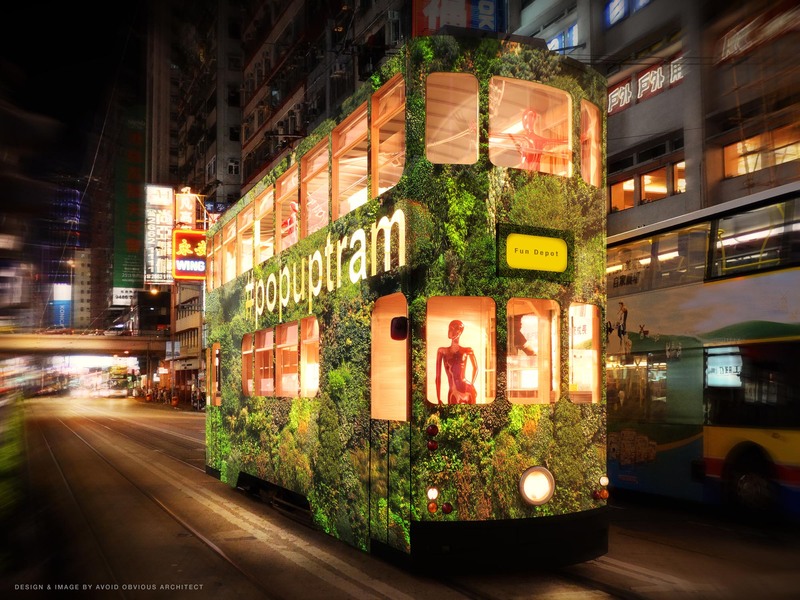 We were challenged by Hong Kong Tramways and Popscout to create a mobile shop that can inherit one of their dedicated tram. The two programs the clients feels strongly about is restaurant and fashion retail. Our goal is not only to raise awareness of this sustainable vehicle and the brand that will inherit it, but to continue to explore the concept of mobile architecture. We believe architecture that can move and transform is one of the best ways to address the current challenges on lease agreement, geographical limitation and rising sea levels. We begin the design exercise with survey and digital modeling to understand all the spatial and mechanical constraint. 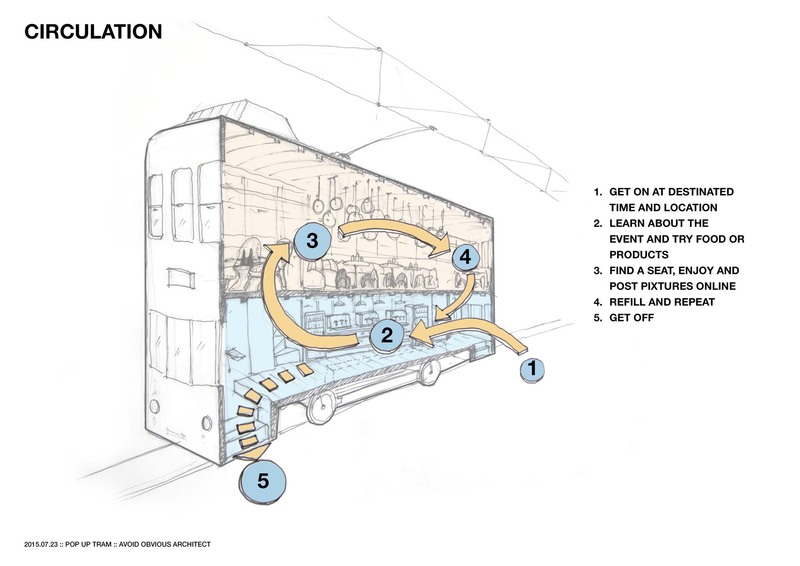 Due to the narrow space inside the tram, we have to be creative about circulation and how we distribute the programs. Mechanical equipment on the floor of the lower level will limit its usage to display and catering. 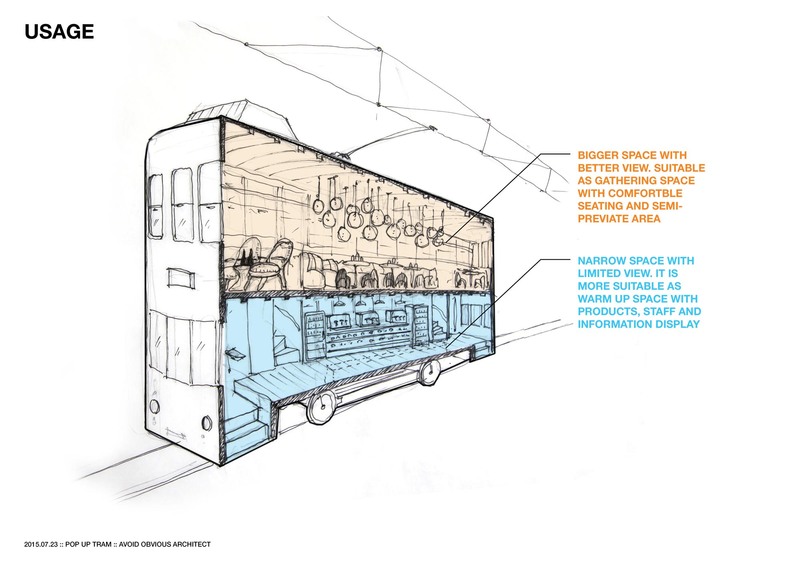 The upper floor with better space and view will be used as seating. 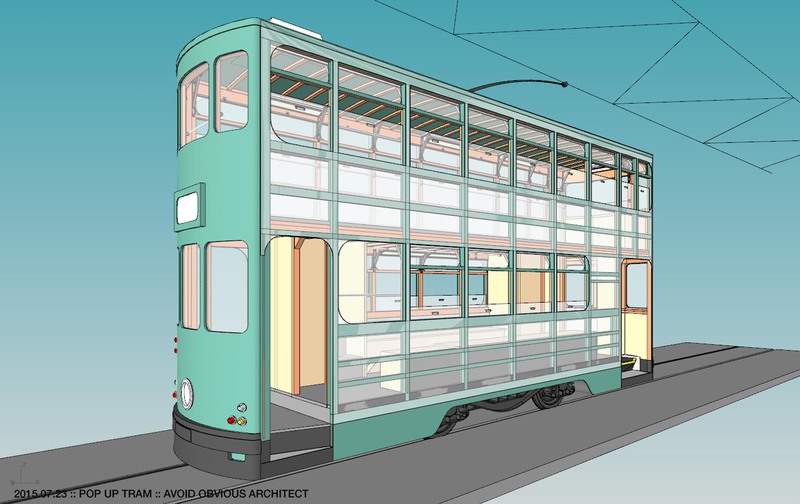 The exterior of the tram is also an interesting topic. Our proposal is to line up the facade with moss and greenery. The moisture in Hong Kong will keep them alive while it can clean up the air in Hong Kong as it move across the island. It will be a functional advertising. It continues on the same idea as shown in our Textmoss project. 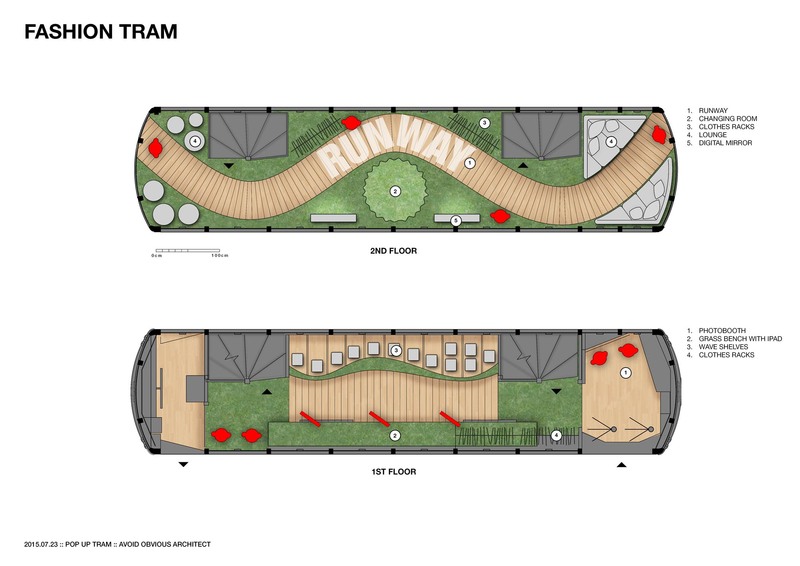 At night, the tram become very eye catching both as an artwork and a living space. The upper floor will be separated into three zones. The front has 2 VIP lounge chairs, the middle is a large gathering area and the back is a private lounge. 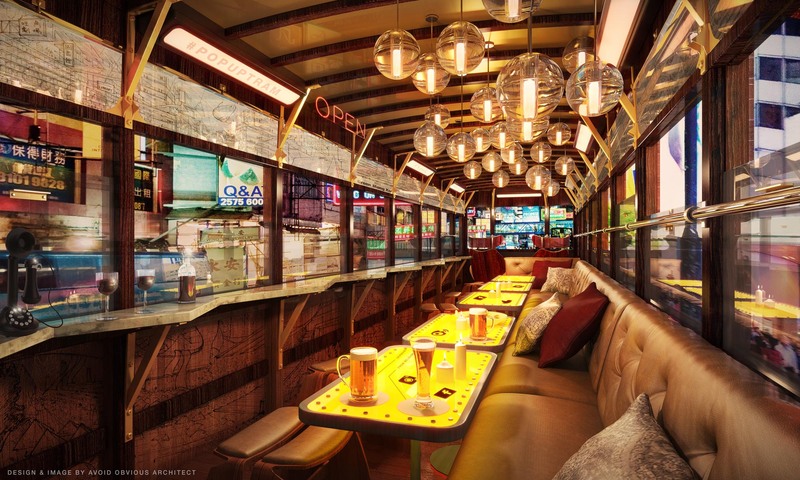 Bar top is used on the left side of the tram. 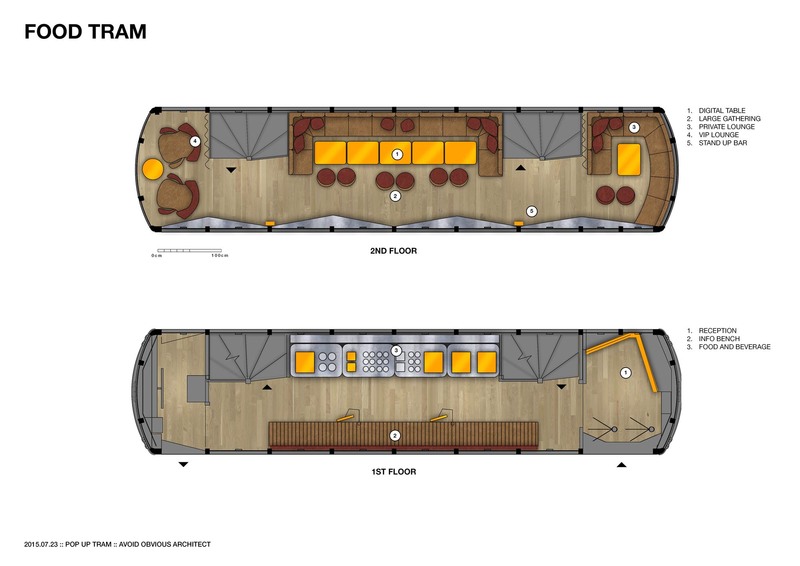 The lower floor has bench seating with digital display and food catering. 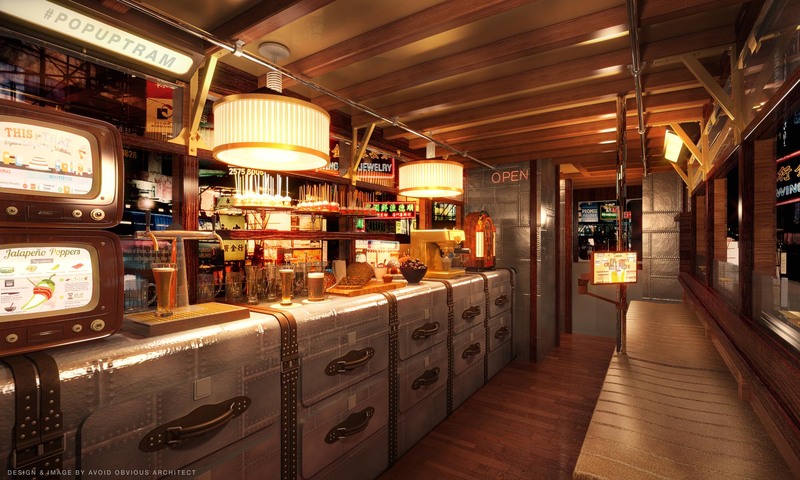 The upper floor will be a runway with changing room and some casual seating. The lower floor is clothes display with casual seating. 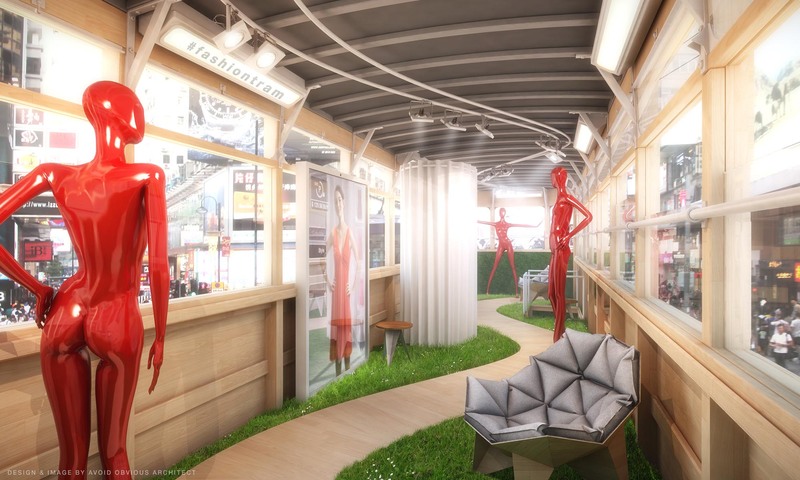 It will be an amazing to see a fashion show as tram travels down the busiest area in Hong Kong.